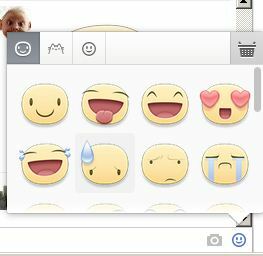 How To Make Facebook Chat Emoticon from Chrome ? Hello every While playing with Facebook Chat I wondered if it supported emoticons. I always Like that, Hope you will upgraded this Love this extensen..
Add ability to send stickers from Facebook’s website to your Chrome. Simple, straightforward and beautiful. Future improvements are planned. If the person you’re talking to is on non-app version of Facebook, he some times might get “This attachment may have been removed or the person who shared it may not have permission to share it with you.” message, but it will turn into the right sticker when he/she will update (F5, or CRTL+R) the page.